These incredible pictures show a young alcoholic man who drank so much his skin turned bright yellow – leaving him looking ‘like Homer Simpson’. Mitchell Balzan, 26, is seen cradling his new born baby in hospital as he battled with the booze and jaundice caused by a failing liver. The young dad was downing so much alcohol he was bright yellow and says he looked like a Simpsons character. But what turned from innocent socialising turned a three year downward spiral and by 23 he had locked himself in his room for a year in a drunken stupor. During December 2015 she noticed Mitchell’s skin had turned a faint yellow colour – a sign of liver failure. Mitchell was admitted to the Royal Liverpool University Hospital on Christmas Eve and spent 48 hours in the ICU, before being placed on a drip for a further two weeks. 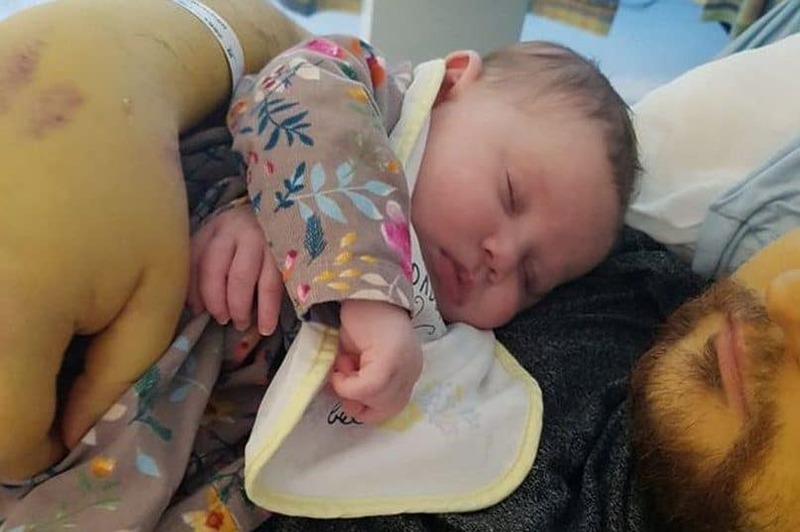 As his jaundice started to subside, Mitchell got a wake-up call – by holding his four-month-old daughter Scarlett, now two, for the first time. His former partner Leanne, 24, told him he had something to live for, and seeing the contrast between Scarlett’s skin and his own hit home to Mitchell, who decided to kick his addiction once and for all. After his stay in hospital, Mitchell turned his life around and went on to have another daughter – eight-month-old Amélie. Now, he’s sharing his story in a bid to raise awareness for alcoholism and addiction, and hopes to help others with their issues by showing them that it can get better. Mitchell said: “Looking at the picture I couldn’t believe it – I looked like Homer Simpson. ”After two weeks sober it was plain to see that I was literally bright yellow. ”I started drinking properly when I was 19, just casually with friends and in a very social setting. “My choice of job as a holiday rep didn’t help. Working in Pathos and the French Alps, it was all part of the culture, and when I got home it was normal where I grew up to have a few beers at the end of the day. “But I’d begun to struggle with depression and anxiety around the same time and slowly I started drinking more and more. “I didn’t realise at the time that I was becoming reliant on lager, but I knew that if I had a drink it would take the angst I felt away. “I didn’t connect the dots that it was an actual problem, but by 21 I was drinking 20 cans of lager a day and spending nearly £200 a week on booze. Mitchell soon moved on from lager to spirits, and drank a litre of vodka a day with ease. He explained: “I’d built up such a tolerance for it that my stomach couldn’t handle the amount of beer I needed – but I knew vodka would knock me out without having to drink as much. “It was around 23 that I started to withdraw completely from society. I would just lock myself up in my bedroom and I didn’t emerge for 12 months. “It was like being in hell, I was in an abyss and couldn’t see any way out – and I’d lost the will to even try to get out of that state. But when mum Christine saw the yellowish tint to his skin in December 2015, there was no denying that he was causing himself severe damage. Amazingly, even staring at his yellow face in the mirror wasn’t enough to convince Mitchell, who says he couldn’t see anything. “My mum was telling me over and over that I was yellow but I just couldn’t see it. Friends and family that came to see me said the same thing, but I didn’t think I looked any different. “It was too much for Mum though and she called our family doctor, who’s literally been looking after me since I was in nappies. He said: “Leanne said to me, ‘Look – you have something to live for’, and it really struck a chord with me. “I held Scarlett for the first time after always being too ashamed to see her properly, and as I looked down at her I felt so much love and responsibility. Leanne took a photograph of Mitchell holding Scarlett and, finally, he could see what everyone else had. He and Leanne had daughter Amélie a year later but sadly later split, though the two remain good friends, bonded by the experience. He said: “When I think back to how dark a place I was in and look at the picture of me and my daughter, I feel so sad for the man I was. “I wish I could go and give him a hug and tell him it will all be OK and that life is going to better than he would ever imagine. “There’s a misconception that people struggling with addiction are totally alone, but it wasn’t the case for me. I had supportive people around me that wanted to help and look out for me but I still felt incredibly lonely. 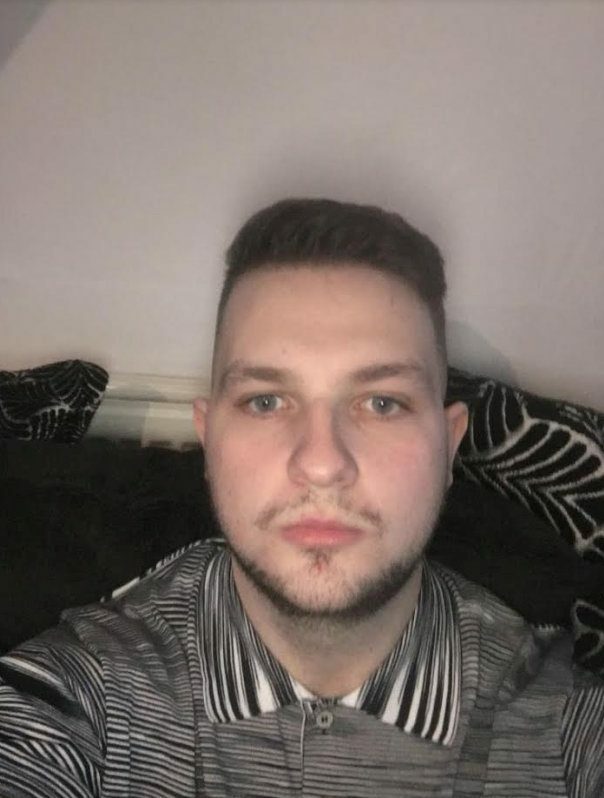 His mum, who sadly passed away last year, funded the expensive drink habit – not to enable him, but to keep him off the streets, Mitchell is clear. “She felt that if she just kicked me out I’d be on the streets and on heroin, so she wanted to keep me where she could help me as much as she could. Mitchell is now making it his mission to raise awareness by sharing his troubling story. “It’s important that people know how terrible addiction is, but I also want to show people that may be struggling that it does get better. “If I can pull myself out of that hole then there’s hope – and hope is one thing I really needed when I was at my lowest.